*The Black Excel website will be refined/updated through 2017/2018. 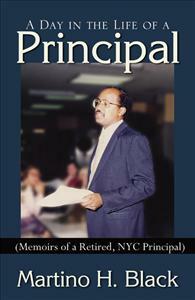 Founder Isaac Black, has been a keynote speaker for the College Board (New York City), and lectured or run workshops at countless college fairs, at Harlem Week,high schools, colleges like Howard University and Harvard, including presentations for the NAACP, Urban League, and countless community organizations and groups. Isaac Black is the author of the African American Student's College Guide, published by John Wiley & Sons. Go to Amazon.com. It has been named as a "major" college help resource in editions of Ebony, Black Enterprise, Emerge, Career Focus, and other publications. Our college guide has been been a featured Black Expressions Book Club selection. The Black Excel website has "distinguished itself as one of the most popular sites in its category." - Snap Directory Team. We've been a "Top 10" BET pick, and called one of the "top 25 educational web sites" in the nation (I-WAY magazine). Our resource materials have been used by over 500 college websites. Our recent motivational project (since June of 2017) is our Black Excel Youtube.com special, "Raise the Bar." It's getting rave reviews. Please go see. Featured at 3000+ other sites, with over 1,000,000 visitors projected annually. and a list of many others) Go here. Here is a super gateway for all students looking to become nurses. You'll find a "Scholarship" portal and help-you info that's invaluable. events, and you can easily check with tour directors/websites for updates. Good luck. --Isaac Black, Founder, 2014. This new book is a comprehensive guide for Black men navigating the college experience. Covers academics, finances, relationships, health & safety, and even studying abroad and technology. 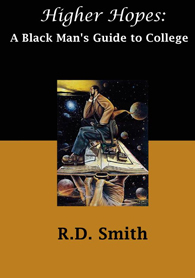 See two free chapters here. (here are strategy blurbs from one of the top scholarship and aid experts. The article,in its entirety is a must read). The Black Excel African American Student's College Guide ($19.95) is now available at major bookstores! African American Student's College Guide! Help Your Aspiring College Student! Black Doctors Galore from HBCU! Since its founding in 1988, BLACK EXCEL has helped young people and their parents all across the country to navigate the difficult college admission process. We have tried to make the way easy and accessible. As a result, we are happy to say that we have helped hundreds of African Americans get into college who might otherwise not have done so. Students we have counseled have gained entry to over a hundred different colleges. Here's a gateway to (New) U.S. States Colleges and Universities and (New)Historically Black Colleges. Our "accept" lists comprise an honor roll of schools, touching every level of excellence and entrance difficulty. Whether a student was looking to Spelman, Yale, Hampton, Boston College or a lesser known school, we knew how to help. As a result, scores of our children are now looking to brighter futures. Some are already in law, medical and graduate schools. Right from the beginning, parents asked us for scholarship help. Nearly all were concerned about how to finance their children's higher education. BLACK EXCEL got busy creating our first Scholarship List. Not only did students and parents request the List. Libraries, colleges, high schools, churches, and other organizations did so as well. Write-ups about BLACK EXCEL began to appear in Black Collegian, Career Focus, College Preview, Emerge Magazine (Sept. '96), the Chicago Tribune...and other magazines and newspapers. BLACK EXCEL has been spotlighted in a book by Dr. Hartman of the College Board and by Netbooks (the college edition). We have been consulted by US News & World Report, as well as by top college-help organizations and experts for our input. Our scholarship list has been called "the most comprehensive" available for Black students. African American Student's College College Guide. Financial Aid & Scholarship Help! that you email us at ijblack@blackexcel.org for a speedy reply. Voicemail: 212-591-1936. If possible, provide email info. Black Excel Get-into-Medical School Tips! Get into Law School...Maybe Howard University! Law Forums for Our Aspiring Law Students! The above is just a sampling of available profiles. Black Excel has more than 200 original top-college profiles in its database. for Black Students at predominantly white colleges & universities. From the BLACK EXCEL newsletter, BLACK EXCEL NEWS. At the Ron Brown home page hit the "Scholar Network"
link. Then hit the "Submit" button without signing in. College? Where Are The Black Males? topics in our newsletter for your review and discussion. Here is your quick reference/overview gateway. 60 BLACK EXCEL NEWSLETTER TOPICS! Nationwide Updates, Clippings, & Information from Around the Nation. Subject Area for your monthly overview. THE POPULARITY OF BLACK COLLEGES! Black Excel's look at the number of applications received at specific schools. Click here for BLACK EXCEL's Graduation Rates at HBCUs. Read Isaac J. Black's powerful essay on drugs, used in a drug workshop given by the NAACP at a convention in Syracuse, NY. The presentation was led by Francine Jacobs and Kristin Black, graduates of Haverford College and Cornell. Both are now in medical school. "Don't Do It: A Crackhead Alert!" The Best of African-American Cyberspace! Copyright (c) 1997-2012 Black Excel, Inc.